Johannesburg - President Jacob Zuma has offered his congratulations to Natalie du Toit on Thursday, the first South African to win a gold medal at the London Paralympic Games. "We warmly congratulate Natalie for once again uniting our country in the pride and glory of this Paralympic achievement and we are confident of more medals to come from the Paralympic Team South Africa," Zuma said in a statement. 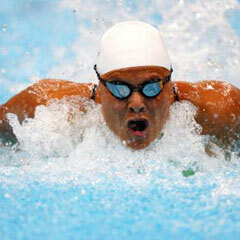 Du Toit won the women's 100 metres butterfly S9 final on Thursday evening. Du Toit, competing in her last Paralympics, will be back in the pool on Friday in the 100m backstroke event.